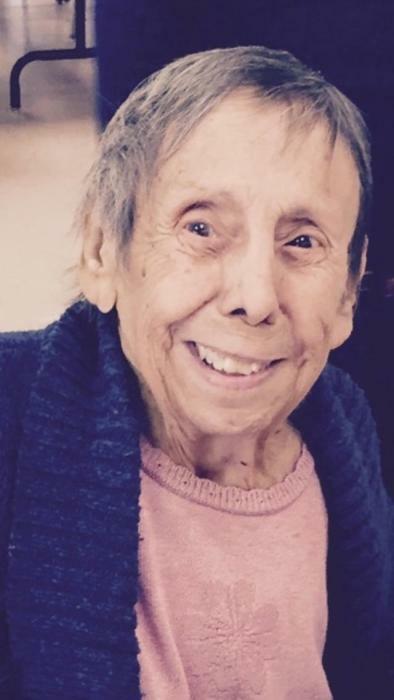 Obituary for Maria Louisa Cipriano | Arehart-Echols Funeral Home, P.A. Maria Louisa Cipriano (76) was born in Providence, RI on April 6, 1942 and went to eternal rest on November 14, 2018 at University of Maryland, Charles Regional Medical Center in La Plata, Md. Maria was predeceased by her parents , Alfred and Gloria (Valvo) Cipriano and her Nephew , Gregory Allen Rees. She leaves behind her devoted sister Ann Rees and husband Bill , with whom she lived for the past 13 years , beloved sister Kimberly (John) Saugy, cherished niece and nephews , Jeffrey (Regina) , Peter Rees and John and Kyle Saugy .In addition Maria leaves behind her favorite Aunt , Dorothy Cipriano and Cousin Albert Cipriano (Pat) and her loving caregiver Nancy Hancock , who became part of the family .Maria spent most of her life in Cranston,RI where she worked for the State of RI , before retiring in 2004 because of breast cancer. She will long be remembered for her love, kindness ,generosity,wit and quiet ways .She was gracious to all and passionate about her advocacy for all animals and vulnerable adults and children.. She found pure joy surrounded by her 5 nephews , whom she loved with all her heart.Maria was a proud veteran of the US Army Reserves in RI for more than 25 years, She was dedicated to many causes and played an active part in Catholic Alumni Club ,Connected Catholics Organization ,Legion of Mary St. Rocco’s Parish, Saint Maria DePrata Society, Animal Sanctuary of Rhode Island , RI Historical Society ,Providence Preservation Society , Richard R Clark Senior Center and Richard R Clark Senior Center Plus Program in La Plata . Maria loved God and prayed the Rosary and said her prayers each and every night until the very end of her life. A funeral Mass will be celebrated at St. Mary Catholic Church in Cranston , RI on November 29, 2018 at 10AM . Celebrant is Father David Ricard . Maria will be laid to rest in St.Anns Catholic cemetery with her Mom and Dad . A Memorial Mass at Carmel of Port Tobacco ,in La Plata,Md will be held at a later date.